Finding a new vehicle means paying close attention to your budget. Unfortunately, this doesn’t mean you’ll have a lot of money to spend. For some Columbia drivers, budgets may not be huge, but that doesn’t mean you should forgo quality. At Midlands Mazda, we have a nice selection of Mazda models for you to choose from—and some are priced under $10,000. No matter what your specific style or taste may be in Columbia, you can count on us to give you the vehicle that matches your budget. There are plenty of benefits of having a used model, and when you can find one under $10,000, that’s an incredible victory. 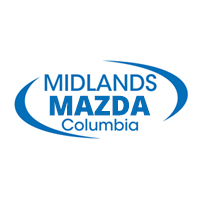 Visit Midlands Mazda to take advantage of our incredible inventory and find your favorite model today. Contact us with any questions, and let us help you finance your next purchase!